There are many who consider search engine optimization both a form of science and art. Unless you’re creative in your approaches, you can never please the search engines and outsmart them and apart from that you also have to apply analytics based strategies and solid research. You have to employ different tools and techniques. But the only sad thing is that most people usually stick to only what they know and this can be harmful as the SEO space is always evolving. Unless you’re aware of few of the must-do things, you can never enhance your SEO efficiency. 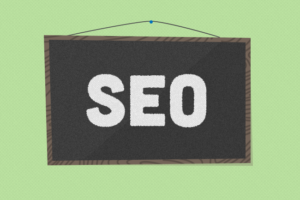 Here are few must-dos that all SEO beginners should keep in mind. Keyword grouping refers to the organization of keywords into various clusters for different purposes, to optimize all the landing pages, inform the information architecture of your website, to recognize potential areas of development of content and many more. But organizing all your keywords into valuable groups can be an intimidating task. If you have several landing pages, it can be a tough task to optimize and manage SEO projects. As the landscape of keywords is changing, you would need tools and strategies to cope with new challenges. Monitoring changes in pages is yet another new tactic and this is incredibly important for SEO. If you use page change monitoring tools, you can get alerts about all changes to pages which you’re optimizing. In case you’re a small business owner who’s the only one working on webpages, this is not for you. But if you have large invaluable teams and agencies, you should definitely follow this tip. It is only when you monitor pages that you would know when your webmaster or client would make a change to the website. One more thing to take care of is to stay smart on the competitive landscape as this is also important for marketers. Inform and educate yourself on keeping close watch on the marketing activities of your competitors, starting from search rankings to new links and content. There are several tools which can allow you to discover keywords for competitors for organic search. Don’t make the mistake of overlooking the above mentioned tactics as they can help you stay on top of your search engine efforts. Seek help of an expert professional who can give you the right advice for beginners.